I had one problem with DFSR. I had two servers. Server01 in located in Location01 and Server02 located in Location02. There is DFSR Replication Group configured between those two servers. Replication worked in one direction – from Server01 to Server02, but it didn’t work from Server02 to Server01. I found out that there is lots of files stuck in queue – backlog. All of them were called Thumbs.db. 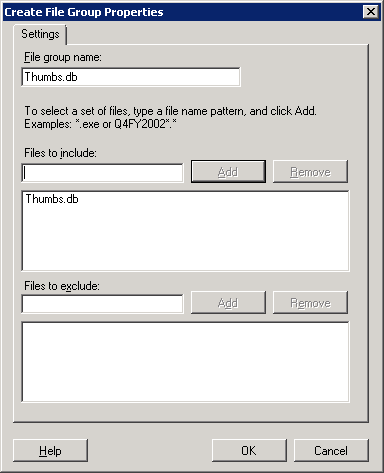 These files are used by Windows Explorer to store thumbnails of files in directories. After directory clearance replication stared to work. But I wanted to prohibit to create Thumbs.db files on network shares. I don’t know about any setting that would disable it on client machines so I had to restrict creation on servers. 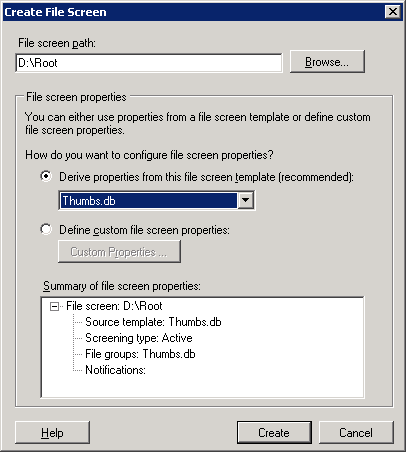 I decided to create File Screen to prohibit Thumbs.db creation on servers. 4. 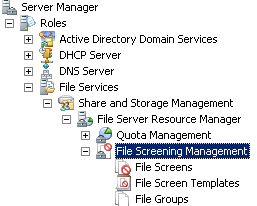 Enable file screening on directory. 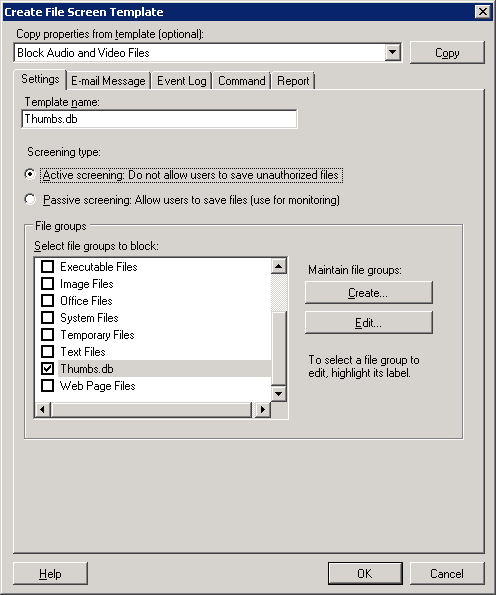 Right-click on File Screens and create file screen. And screen file is sucessfully set. And that’s all for today play with DFSR.